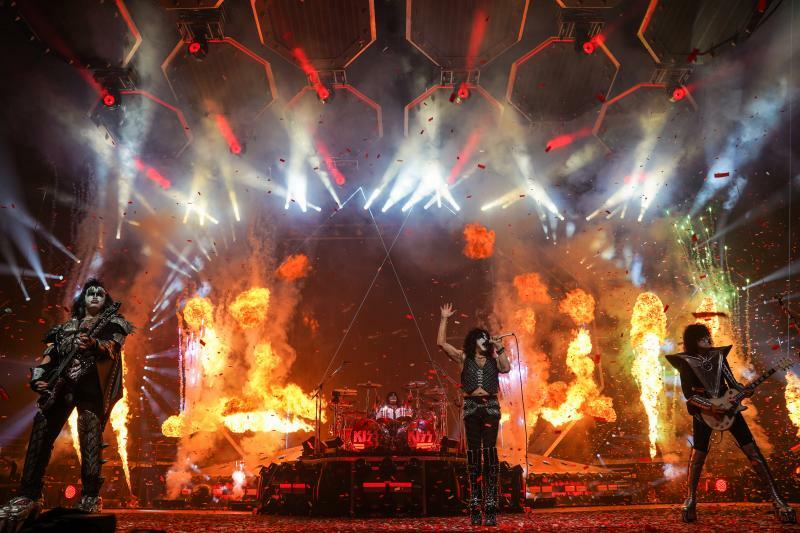 KISS launched their End Of The Road farewell tour in Vancouver, BC on January 31, and video from the show has surfaced online. The Vancouver Sun reports the classic rock outfit opened the first show of the multi-year tour with a trio of tunes that included “Detroit Rock City,” “Shout It Out Loud” and “Deuce” embellished with as much pyrotechnics as other bands might use for an entire concert. The opening North American leg of the tour will run into mid-April, before hitting Mexico and a two-month run of Europe starting in May.